Monday, March 13th 2017, 2:00 p.m. Many types of socio-economic problems would benefit from models based on people’s knowledge. It is the case, for instance, of the promotion of new industry in lagging areas, which is typically hindered by the scarcity of human capital, lack of information, infrastructures, and competing interests. In this context, public support is unavoidable to assist promotion of this innovative sector. The various policy options reveal some strengths and drawbacks, posing the problem of finding the best trade-off to public decision makers. In this seminar, it is presented a multi-step fuzzy cognitive mapping approach to create computational model of the system under analysis based on the stakeholders knowledge. A possible application is to support policy decision making, with the purpose of determining a way to identify the most suitable policy option given the actual uncertainty concerning economic decisions. A cognitive map can be made of almost any system or problem. Cognitive maps are semi-quantitative models of a system, consisting of variables and the causal relationships between those variables. Fuzzy cognitive mapping offers many advantages for ecological modelling including the ability to include abstract and aggregate variables in models, the ability to model relationships which are not known with certainty, the ability to model complex relationships which are full of feedback loops, and the ease and speed of obtaining and combining different knowledge sources and of running different policy options. These points will be addressed in the seminar. 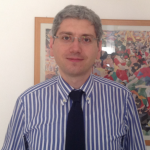 Antonio Lopolito is Assistant Professor of Agricultural Economics at the Department of Agricultural Sciences at the University of Foggia. He completed his Ph.D. in “Sustainable Agricultural Systems” at the University of Foggia by discussing a method to evaluate the production of social capital by the European Rural Development Policy at a local level. Later, he developed a comprehensive evaluation tool, accounting both for tangible and intangible outputs of Local Action Groups within the LEADER Initiative. His main research interests focus on understanding how social networks dynamics can impact the spread of new behaviours or innovations. He uses field experiments and agent-based models to analyse the convergence of agents’ expectations and shared visions. He has published a number of scientific articles in several international indexed scientific journals. Patching Environmental Wounds or Thinking About Change?